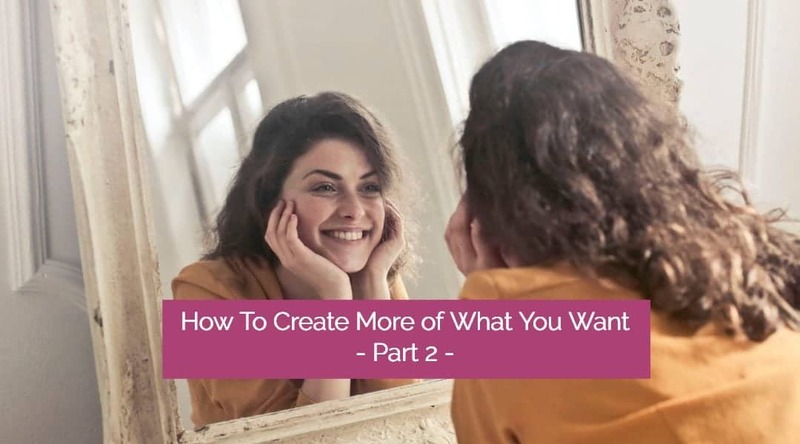 The following article is a continuation of my original article How To Create More of What You Want Using the Law of Attraction – Part 1. I recommend reading that one first so that the information I present here is in context. In the video below I briefly summarise the major scientific breakthroughs that have confirmed a very important discovery – The existence of our HUMAN ENERGY FIELD and how we can impact our own human energy field through our thoughts and focus of attention. You are more than just your physical body. You’re surrounded by an energy field (commonly called your ‘Aura’) that emanates within you, around you, and out into the world around you. Your energy field is interconnected with the invisible web of energy that connects all of life. Einstein called it ‘The Field’, the Chinese call it ‘Chi’ and the Indians ‘Prana’. Gregg Braden calls it ‘The Divine Matrix’. You can impact your energy field through your thoughts and beliefs. The quality of your energy field (and hence your health and your life experiences) can be directly improved through improving your thoughts, your beliefs and your focus of attention. The Law of Attraction is the governing law in our Universe. It’s sometimes also referred to as the Law of Mirroring, because it operates on the principle that what you feel and believe internally, must be reflected (mirrored) in your external reality. Manifestation = Clear Desire + Belief + Trust + Inspired Action. ‘Inspired action’ is action that feels joyful, exciting, and uplifting; you must feel inspired and excited by your desired end goal. At the end of the teachings in Part 1, I recommended a number of tasks, including setting an ‘Abundance Goal’ in an area of life where you want to feel more abundance or joy. I explained that the goal should be something that gets you excited when you think about it and feels like a challenging but reasonable stretch from where you are now. The goal needs to make you feel good! And we discussed how the goal should be specific and clear, to activate the Law of Attraction more effectively. Gratitude is the rocket fuel that turbo-charges the Law of Attraction! Yesterday we talked about how our emotions have different ‘frequencies’, and the fact that positive emotions like love, joy, optimism, and excitement vibrate at a higher frequency than negative emotions. 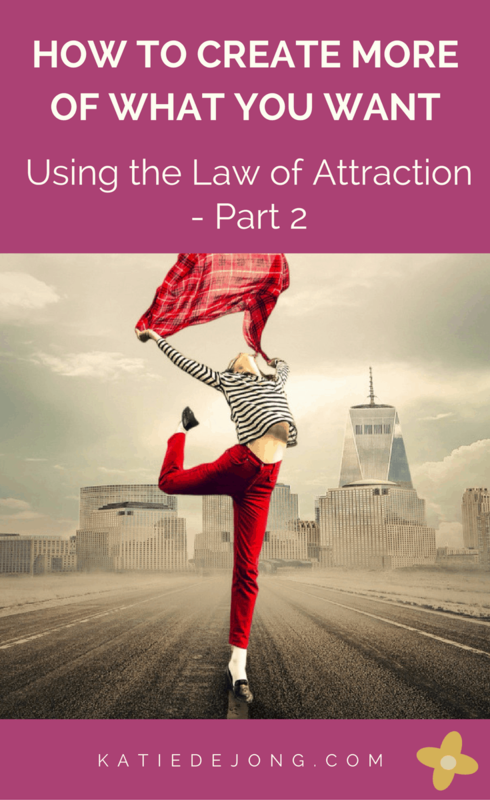 And since ‘like attracts like’ in the Law of Attraction, this means that positive emotions and feelings will attract more positive experiences into your life. 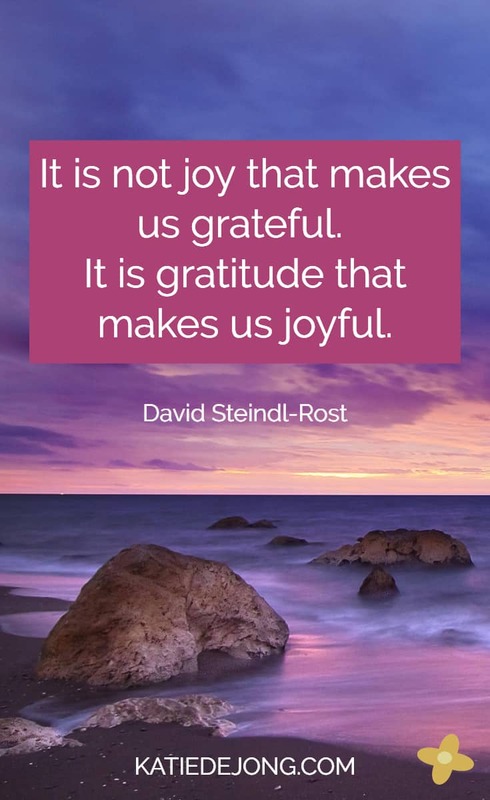 And there is nothing more powerful than GRATITUDE for helping you tap into positive emotions! Have you noticed how good it feels when you take a moment to quietly reflect on the things in your life that make you feel really grateful? Just picturing something or someone you love and feeling gratitude for them instantly lifts your energy. Just as the opposite is also true – when you focus your thoughts and energy on someone you don’t like or who you feel has wronged you, you can feel your energy drop. The whole process of manifesting what you want is made possible when you’re able to hold what they call ‘a vibrational match’ to that which you desire. When you really desire something and you hold it consistently as your focus of attention, you begin naturally attracting it towards you. And the more effectively you’re able to keep your thoughts and attention focused on the excitement of your desired goal, the more quickly the manifesting process is going to happen. Gratitude gives you an instant boost of positive feelings and emotions, which in turn attract the positive experiences you’re seeking. It’s easy to get distracted by the things that aren’t working so well in life. But even amidst your troubles and worries, try to keep your attention focused on the things that ARE working well and the things you can be grateful for. Because what you focus on grows. If you keep your attention focused on your frustrations and challenges, you will continue to experience and grow them. And conversely, if you keep your attention focused on the positive things in your life, you will continue to expand and grow those positive things. If you want to attract more of something into your life, you need to start focusing your attention on where that quality is already appearing in your life. We’re often so focused on the LACK of something, that we fail to see where we’re already experiencing what we desire in smaller, more subtle ways. For example, say you want to attract a partner into your life. What are the qualities that a partner would bring to your life? Perhaps a sense of connection, mutual love, respect, and adoration for each other. Where in your life are already feeling those qualities in your life, right now? Perhaps you have a wonderful relationship with your children, or another member of your family. Keep your attention focused on all those areas where you already feel connection, mutual love, respect, and adoration, and practice feeling extreme gratitude for those things, knowing that the more you focus on gratitude, the more you’re growiing those qualities in your life experience through your focus of attention. 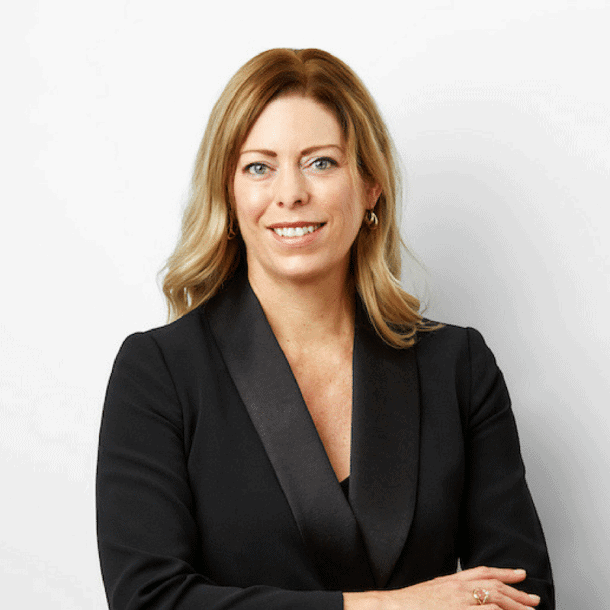 One of my favourite Abundance mentors, Jeanna Gabellini, tells a story of how one of her students wanted to attract more money into her life. She was completely broke without a cent to her name. When Jeanna asked her to focus on where she was already experiencing wealth in her life, she found it impossible. All she could see was the lack of it. But she made the commitment to keep her attention focused on wealth and one morning she found a 10 cent piece on the ground outside her home. She picked it up and felt extreme gratitude that this sign of wealth was appearing. As she kept her attention focused on wealth and her desire for financial freedom, small signs of money started appearing, such as an unexpected refund from a store she had shopped at, and eventually she was offered a job she had previously been turned down for, and her abundance started flowing the more she chose to focus on financial flow. You need to make a conscious choice to keep your attention focused on the evidence that your desired goal is already on its way. In this series of articles I’m showing you the steps you need to take in order to create more abundance in your life. The tasks below are tasks that you’ll need to continue doing each day. It should become a part of your daily life and a standard part of your morning routine if you are going to claim the life you want. It only takes 5-10 minutes a day but is absolutely critical to creating an abundant life! I do this myself each day, and if for some reason I forget, I can usually tell. Without the clear alignment each morning, my days become much less effective and flowing and I veer off-track from my joy and goals. 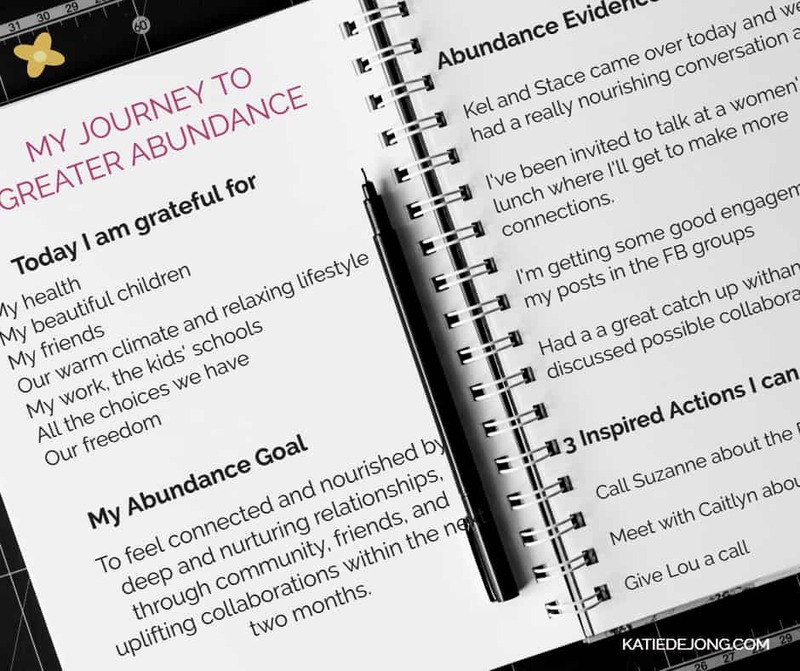 TASK 1 – Start an Abundance Notebook and commit to spending 5 minutes each day to write in it. Get yourself a notebook that looks and feels good – i.e. you enjoy writing in it. By dedicating a notebook and 5 minutes a day to these exercises below you are claiming your right to more abundance and you are expecting that it’s already on its way. Every morning, write the first heading “Today I am grateful for…”. Write down a minimum of 10 things that you’re currently grateful for in your life. Gratitude immediately dials your energy into a higher frequency which is necessary for activating the Law of Attraction. Your internal positive emotions will be reflected in your outer reality. Under your Abundance Goal, write down the title: ABUNDANCE EVIDENCE LOG. Then write down every single way in which you are ALREADY experiencing the qualities you desire in your Abundance Goal. For example, if you’re wanting to attract a life partner because you want to experience deep connection, mutual love, respect, and adoration, then start recognising and acknowledging where you are ALREADY experiencing those feelings somewhere in your life, no matter how small and insignificant they may seem. For example, you may be feeling love and connection with your child, or with a good friend. Focus your attention on those feelings and give appreciation for them. 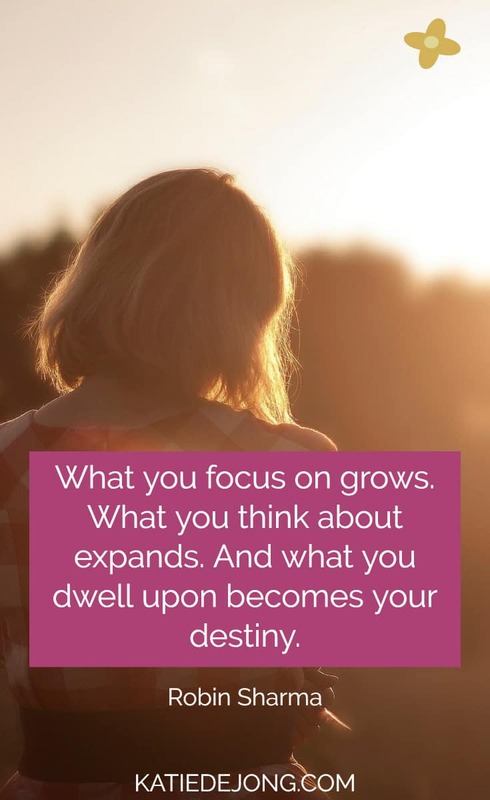 What you focus on grows and expands. Jeanna Gabellini often says that in the beginning, you may have to “Fake it ’til you make it”. What’s important is that you consciously CHOOSE to put your focus of attention of where things are already working in your life. Because this attracts GROWTH and EXPANSION in those areas and more. TASK 5 – Think of 3 inspired actions you can take today towards your Abundance Goal. It’s essential that you accompany your inner alignment and positive emotion with consistent, inspired action! You must take action each and every day towards your goal for the whole process to work. And the actions must feel ‘inspired’ – i.e. joyful, uplifting, exciting and meaningful. If it feels like a burden and a struggle, then it’s not ‘inspired’ action. The criteria for inspired action is that it FEELS GOOD! That’s it for your daily ritual. It should only take 5-10 minutes a day and you’ll soon realise that it’s the BEST investment of your time you can possibly make! Try to be consistent and don’t skip a day! TASK 6 – Get your positive juices flowing by writing short answers to the following. Consistency and commitment are key to effectively harnessing the Law of Attraction. Commit to doing this journalling exercise every morning for a month and observe the shifts that start happening in your life. This is really a ‘personal energy alignment’ that you’re doing each morning – aligning your energy with the positive feelings and frequencies that you want to attract, and therefore making yourself a ‘vibrational match’ to the things you want to manifest. And as we’ve learned, the Law of Attraction can only bring you things that are an energetic match to your own energy field. So when you’re continuously focused on the positives in your life, and the great feelings of having those things you desire (even when they haven’t manifested yet), you’re allowing your desires to come to you in the easiest, most effortless way. This is not to say that you’re never allowed to feel negative or down. Of course you can, and you will. And you must – it’s part of the natural cycles of life. It’s impossible to feel ‘up’ all the time. And your feelings are there to be felt, so you need to turn towards your feelings and honour them. Give them the recognition and validation they’re seeking (just as mothers do for their young children). You have to feel it to heal it. But when you’ve spent sufficient time honoring your feelings, return your attention to the questions outlined above to get your energy back on track and re-align yourself. Take as long as you need, but don’t allow yourself to stay ‘down’ for too long. If you have any questions at all, please leave a comment below or send me a private email message. I’m always excited to connect with you and to help you where I can!